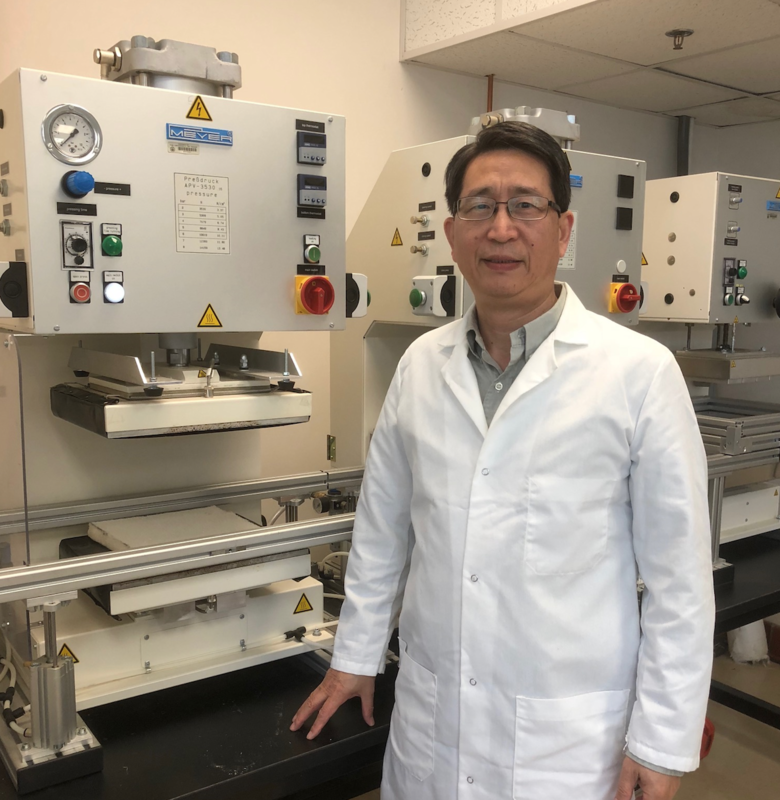 Dr. Chen has been working in the areas of engineering and textile science for over 30 years. He has extensive experience in the production and structure of renewable and polymeric fibers. 1. Lecture, "Green Fibers for Sustainable and Functional Material Development"
Location: Room TCC 2.102 in the Thompson Conference Center. The talk presents patent-pending technologies for fabricating advanced fiber, film, and Nano composite materials using lignocellulose biomass, with exhibition of latest end uses and market potential. Although most of us will not be able to attend, Dr. Chen will be discussing his paper on yarn supercapacitors. "Yarn supercapacitors are developed as a new yarn product potential for energy storage needed in wearable electronic devices." Although a new and exciting technology, researchers must find a way to lower the cost and more research is needed on the potential heath impact of these materials. Dr Chen's paper presents "a new yarn supercapacitor made of carbon fiber (CF) and activated carbon fiber (ACF). Two complex yarn structures for yarn supercapacitor fabrication are studied and their electrochemical properties are assessed. Potential applications of the yarn supercapacitor in end-use markets are discussed."